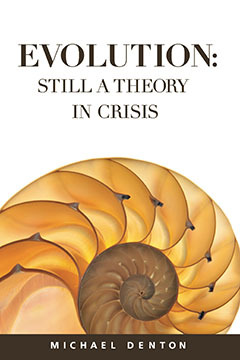 Blurb for Michael Denton's new book "Evolution: Still a Theory in Crisis" by Discovery Institute Press (January 6, 2016). Article "Could This Be the Oldest Evidence Yet for Multicellular Eukaryotes?" on Discovery Institute's site Evolution News from May 26, 2016. 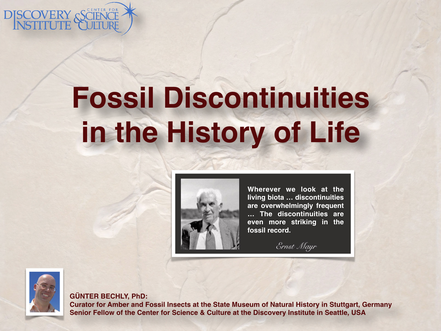 Webinar "The Fossil Record: Implications for Neo-Darwinian Evolution" at Apologetics Academy, Saturday 16 July 2016. Since October 8, 2016 I am a Senior Fellow with Discovery Institute's Center for Science and Culture in Seattle, WA, USA. Featuring in the ID documentary "Revolutionary" about Michael Behe and his seminal work (produced by Illustra Media, and released on DVD and Blu-ray on 8 October 2016, and meanwhile freely available on YouTube). 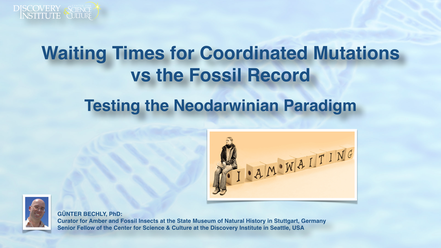 Plenary talk "Waiting Times for Coordinated Mutations vs. the Fossil Record: Testing the Neo-Darwinian Paradigm"
Breakout Talk "Fossil Discontinuities in the History of Life"
After months of heavy pressure and discrimination because of my changed world view (in favor of Intelligent Design rather than Darwinian evolution) I decided to resign on December 15, 2016 from my position as curator for amber and fossil insects at the State Museum of Natural History in Stuttgart (Germany) that I had held for 17 years, because further productive scientific work was not possible any longer.